The vegetable parchment paper is based on pure cellulose, which comes from renewable forests. Unique Properties of parchment paper (as under) make it a versatile product with different possible applications. Suitable for contact with the meal. Pure / Genuine Vegetable Parchment (PVP) has been used for bulk and retail butter packaging for over 100 years. PVP is equally suitable for cheese and dried milk packaging. Meeting stringent requirement of food Industry, Scan Holding offers complete variety of parchment paper for meal and catering Industry. 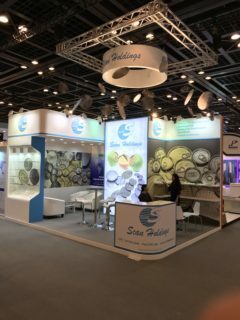 Scan Holdings offer vegetable parchment papers catering to the requirement of dairy industry for packing table butter, margarine butter and other products containing fatty substance. Vegetable parchment is also used as bake paper as also for the protection of meals and for freezer. It can be used in traditional ovens as well as in microwave ovens due to its resistance to high temperatures. Parchment paper is ideal for its use in automated packaging because of its ease in taking shapes. Its two surfaces are very regular and can be used with idetical results. Our Parchment paper meets stringent requirements of food Industry therefore our parchment is extensively used in the Industry of meal and catering. Our high quality parchment paper offers high grease resistance, wet strength, purity and barrier to ultra violet light. 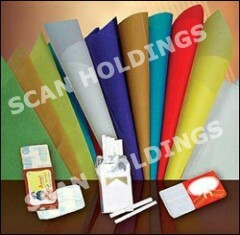 Scan Holdings offer the wide range of Coloured Parchment as the final layer on textile tubes. High performance textile tubes for yarns (POY, DTY, FDY) are made from high strength Kraft Board, usually wound spirally during extrusion on the tube-making machine. Parchment paper imparts high resistance to abrasion, heat and penetration by oils – all being essential and critical application specific to layering of textile tubes. The colors help in identification of various yarn-related parameters like denier, merge number etc. The parchment paper is widely used in textile core tube industry. Its internal cohesion, its resistance to the grease and to the bleeding of the color makes parchment an ideal paper for covering of textile tubes used for spinning.